The old slushbox is starting to tell me it wants to give up the goat so I figured I'd start preparing now instead of when it finally does croak. I'm trying to find what the best transmission to swap mine with is and I've hit a bit of a roadblock. There's plenty of info on swapping pre 2000's as well as a bit of info on swapping AWD's like the xc70 and the R series cars but I haven't found anything really specific for swapping 2000-2004 P2 fwd cars. Basically, what model transmission should I be looking for? 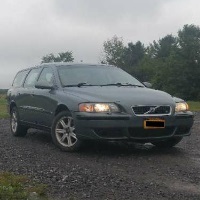 I've got a 2002 v70 2.4t with the AW55-50/51SN transmission and I'd like to keep it FWD. I know that the m56, m58, and m66 trannies are really the only ones I have to choose from but I'm not sure which one specifically I should be aiming for as I've heard the m58's and m66's are mainly meant for AWD use and that the m56 has a weird split designation where some are geared really low while others are normal. So it looks like the m66 is a-ok for FWD use and that the m59 is an option that exists. I'll be looking into seeing if I can get the m56/66/59 from the brits since they actually exist over there. Are you near me? Did you try Erie VoVo in Utica with no luck? Call , don't use the internet on this search. Ive got the engine bar and actually dropped a manual recently, so can offer help/advice at least. Had no idea that erie volvo was even a thing since I'm over by Albany. I just checked in with their parts list and it looks like they've got a couple of 02/03 manuals listed with one in CT. Thanks for the name drop as I probably would have been stuck trying to ebay it from the brits. Also quick question: Is it better to pull the engine out vertically or drop the subframe? I've heard that dropping the sub is a PITA compared to vertical hoisting and vice versa. Im 30 minutes North of you. I even have a guy with flatbed who can move cars, but we have to throw him some bucks as he is young and starting out. F0r a trans swap I would go down, but that is just because that is what I have done. Ive got a flat bed trailer for lugging big stuff too. Did some more testing today and the trans is a little bit less dead than it wanted me to believe yesterday. Regardless I'll keep doing as much digging as I can to find everything I'll need for this and keep you on speed dial so to speak.